At MRO Electric and Supply, we offer a wide range of repaired, refurbished and reconditioned automation products for each of our manufacturer lines. We never supply used, untested, second-hand parts. Each of our refurbished parts is fully cleaned, serviced, functionally tested, and upgraded to optimal working order before being made available for sale. We also place each of our reconditioned products in like-new packaging for easy identification, transportation, and storage. For many obsolete and legacy automation product lines, finding new, unused parts can be a challenging task. Oftentimes, searching for unavailable new parts can cause unreasonably long lead times which increases the risk of downtime. MRO Electric stocks a variety of refurbished products with same-day and next-day shipping options, while keeps the risk of downtime to a minimum. Refurbished products tend to be significantly less expensive than new parts. 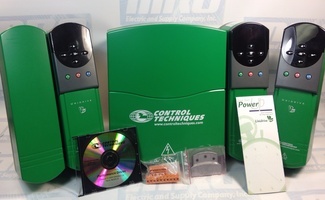 MRO Electric offers many refurbished items for up to 75% less than their new counterparts. This deep discounting allows our customers to stock up on spares while minimizing their costs. Purchasing an exact replacement prevents compatibility issues versus upgrading to a newer component. For some manufacturers, it is better to stick with tried and true systems than risk purchasing a different part that may not function correctly with their process. Just because a part has been refurbished does not mean that it won’t last as long as new. Additionally, many of our refurbished parts have seen little or no use throughout their lifetime. We are extremely confident in the reliability of our refurbishment process, and warranty all of our products for a minimum of 12 months. Quantum I/O modules are available for direct connection to critical 125 Vdc battery powered equipment such as circuit breakers, protective relays, transformers and capacitor banks. Built-in high transient noise immunity ensures reliable operation in harsh 125 Vdc environ- ments. The 125 Vdc 30A high current output module eliminates expensive high current interposing relays used in breaker tripping and closure. The solid-state 125 Vdc low current output module ensures long life and trouble-free operation in higher frequency 125 Vdc switching environments without the use of expensive external snubbing circuitry. Over-current/ short circuit diagnostics and protection on all solid state 125 Vdc outputs reduce downtime by ensuring quick identifi- cation of circuit prob- lems and fast repair. and interrupt module combined, which is configurable through programming software. Interrupt handling instructions are part of the 984 Ladder Logic instruction set. Quantum throughput performance for 2 interrupts is typically 1ms. Quantum high speed counter modules have the ability to count pulses at speeds much faster than the Quantum controller can directly do by itself. These modules automatically report the current count to the Quantum controller every scan. The Quantum ASCII module is a general purpose ASCII interface that provides the ability to communicate and ex- change data with devices including printers, bar code readers and scanners, weigh scales, and meters. This module is designed for relatively simple point to point ASCII communications, with ASCII messages stored inside the module triggered by logic within the Quantum controller. 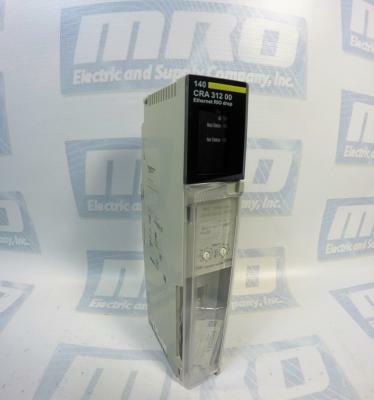 The Siemens 6SL3040-1MA01-0AA0 is a Sinamics Control Unit CU230-2 PN. It is designed for use with several drives. It is a control central modules in which the closed-loop or open-loop functions are implemented for one or more line modules and/or motor modules. The number for VFD drive depends on the required performance, the required additional functions, and the required operating mode (servo, vector, or U/f). The software and parameters are stored in a plug-in memory card, and the option slot can be used to expand the number of terminals or adapt other communication interfaces to the higher-level control. If your application requires more than one control unit, the number can be increased accordingly and interconnected via the Profibus. The 6SL3040-1MA01-0AA0 communicates with its associated components, like motor modules, line modules, sensor modules, and terminal modules, via the internal system’s DRIVE-CLiQ interface. The module has 12 isolated digital inputs, and 8 non-isolated digital inputs/outputs. With the 6SL3040-1MA01-0AA0, an open input is interpreted as “low”, and terminal M1 must be connected so that the digital inputs (DI) can function. This can be completed by either providing the ground reference for the digital inputs, or by using a jumper to terminal M. If at any time the 24V power supply is briefly interrupted, the digital outputs are deactivated. If at any time the memory card is withdrawn or inserted while the 6SL3040-1MA01-0AA0 is in operation, then data can be lost and a plant standstill could occur. Only withdraw the memory card when the control unit is in a no-voltage condition. Electrical fields and electrostatic discharge can also result in the memory card being damaged, so observe ESD regulations when handling it. 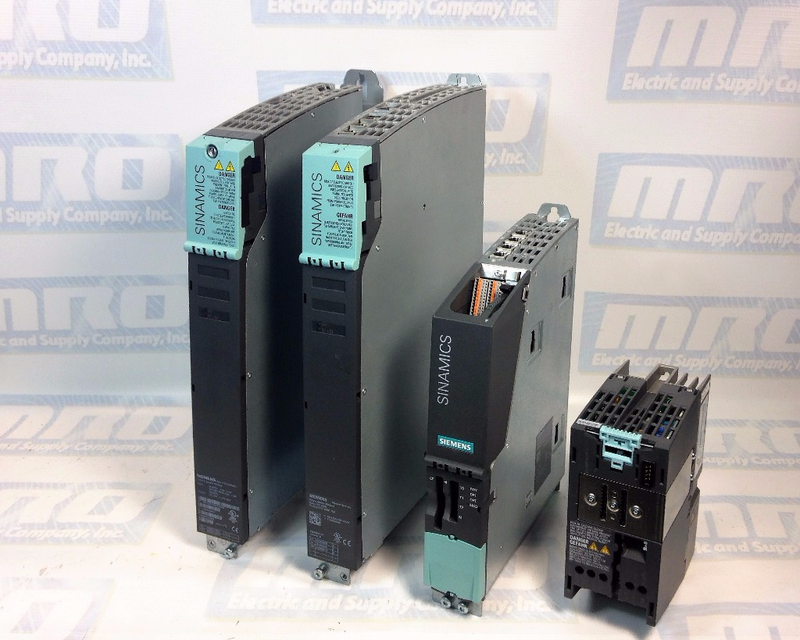 MRO Electric and Supply carries new and refurbished Siemens Sinamics 6SL3040-1MA01-0AA0‘s. For more information or to request a quote, please call 800-691-8511 or email sales@mroelectric.com. There are several differences between faults and alarms on Sinamics S120 Drives. Check out our website for all of our Siemens products. Carry out a POWER ON (power on/off) for all components. If required, check the data on the non-volatile memory (memory card). Upgrade firmware to a later version. Replace the control unit or contact MRO Electric. Cause: An exception occurred during an operation with the FloatingPoint data type. The error may be caused by the basic system or the OA application (e.g. FBLOCKS, DCC). Remedy: Carry out a POWER ON (power on/off) for all components. Check configuration and signals of the blocks in FBLOCKS. Check configuration and signals of DCC charts. Cause: An internal software error has occurred. Cause: A memory area was accessed that does not return a “READY”. Remedy: Read out diagnostics parameter (r9999). After POWER ON has been carried out again for the DRIVE-CLiQ component, download the firmware again. Depending on p7826, the firmware will be automatically downloaded. 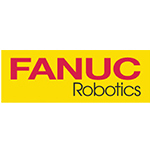 Cause: The firmware of a DRIVE-CLiQ component must be updated as there is no suitable firmware or firmware version in the component for operation with the Control Unit. under “Configuration” of the associated drive unit and an appropriate firmware update can be carried out. – Take the component number from the alarm value and enter into p7828. – Start the firmware download with p7829 = 1. Cause: A DRIVE-CLiQ component must be powered up again (POWER ON) (e.g. due to a firmware update). Alarm value (r2124, interpret decimal): Component number of the DRIVE-CLiQ component. If the component number is 1, a POWER ON of the Control Unit is required. Remedy: Switch off the power supply of the specified DRIVE-CLiQ component and switch it on again. For SINUMERIK, auto commissioning is prevented. 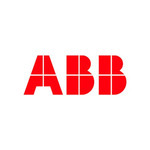 In this case, a POWER ON is required for all components and the auto commissioning must be restarted. Cause: The temperature (r0037) of the control module (Control Unit) has exceeded the specified limit value. Remedy: Check the air intake for the Control Unit. Check the Control Unit fan. MRO Electric and Supply carries new and used Sinamics modules. For more information or to request a quote, call 800-691-8511 or email sales@mroelectric.com. 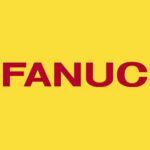 For more Sinamics S120 faults and alarms, check out Part II and Part III of the series that we will be posting shortly. The 140AVI03000 is a Analog Mixed Current/Voltage Input Modules that is part of the Modicon Quantum series. This Analog In 8 Channel Bipolar Modules accepts a mix of current and voltage inputs. Jumpers are required between the input and sense terminals for current inputs. The 140-AVI-030-00 contains a total of 18 LEDs. The “Active” LED remains on and green when Bus communication is currently present. The “F” indicator will light up red when an error external to the module has been detected. The green LEDs 1 through 8 will turn on when the indicated point or channel is ON. The red 1 through 8 LEDs when light up for two reasons. Either the indicated channel is out of range (1 – 5 Volts), or a broken wire condition has been detected (4 – 20 mA). To prevent improper fault indications, unused inputs should have the + (plus) and – (minus) inputs tied together and be configured for a bipolar input range. Unwired inputs can cause invalid readings. When configured for voltage inputs (no jumper is installed between Input (+) and ISENSE terminals), a broken field wire can cause readings to be non-zero and unpredictable. The field wiring terminal must not be removed when the module is in operation. The following figure shows the 140-AVI-030-00 Wiring Diagram. For external wiring, the user should supply the current and voltage sources, and installation and calibration of the fuses are at the discretion of the user. It is recommended that shielded cables are used, and twisted shielded cables should be used in noisy environments. The shielded cables should be connected to the PLC’s ground. A shield bar should be used to connected the shielded cable to the ground. If you are field wiring the 140AVI03000, the maximum wire size is 1-14 AWG or 2-16 AWG and the minimum wire size is 20 AWG. 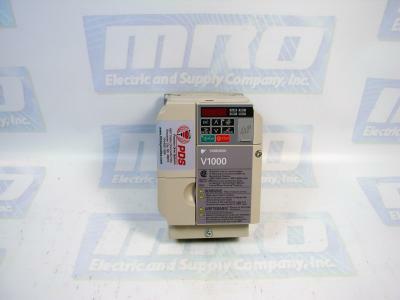 MRO Electric and Supply Company carries new and refurbished Modicon 140-AVI-030-00‘s. For more product information or to request a quote on a part, please call 800-691-8511 or email sales@mroelectric.com. 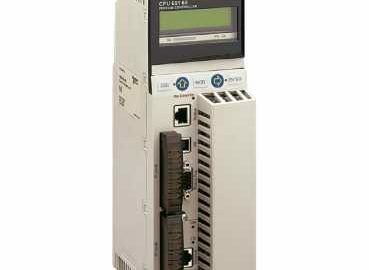 The Yaskawa V1000 is a compact current vector drive with dual microprocessor logic. There are 3 primary models: 200V 3-Phase Input, 200V Single-Phase Input, and 400V 3-Phase Input. It is possible to run the drive without connecting the digital I/O wiring. It is important when installing Yaskawa V1000 drives that proper electrostatic discharge (ESD) procedures are taken. Failure to comply could result in an ESD discharge that could damage the drive circuitry. If the drive is being operated at low speeds, the cooling effects are diminished and motor temperatures can increase which can lead to overheating. Continuously operating an oil-lubricated motor in the low speed range may result in burning. A dynamic braking resistor can be used with the V1000 series. Dynamic braking helps bring the motor to a smooth and rapid stop when it is working with loads of high inertia. As the drive lowers the frequency of a motor with high inertia connected, regeneration occurs. This can cause over-voltage when the regenerative energy flows back into the DC bus capacitors. A braking resistor can help prevent these overload errors from occurring. The drive functions are devided into 2 primary groups that are accessible through the Yaskawa V1000’s digital LED operator. Drive mode allows for motor operation and parameter monitoring. Parameter settings cannot be changed when functions are accessed in drive mode. However, alarm information and history can be accessed in drive mode. Programming mode allows access to the setup. There you can adjust and verify drive parameters as well as Auto-Tuning. The drive will not allow motor operation changes such as start and stop when the LED is accessing a function Programming mode. The V1000 is set to Drive mode when it is first powered up. The Up and Down arrow keys can be used to switch displays. MRO Electric and Supply carried new and refurbished Yaskawa V1000 Drives. For more information or to request a quote, call 800-691-8511 or email sales@mroelectric.com. The 6FC5235-0AA05-0AA1 Sinumerik Diskette is part of the Sinumerik series. It is a diskette unit 3.5″ with cable length 0.5 meters. This is a floppy disk drive box which is external. For more info you can visit website page for the 6FC5235-0AA05-0AA1 Diskette. 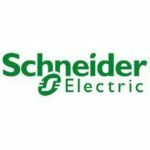 The 140CPU65150 is a Unity processor in Schneider Electric’s Modicon Quantum series. It is one of the newer models in the series of processor modules. It joins together the standard functions of the PLC and the diagnostic possibilities of a web server. It communicates using an RJ-45 connection. The module is in a double-width standard Quantum housing which requires two sequential slots in a Quantum rack. Because its web server functions are diagnostic only, software must be used to configure its services. It has a clock frequency of 166 Mhz and has two local racks. It has 63 distributed I/O stations, 1 rack, and 3 distributed networks. It has 8000 discrete inputs and outputs of discrete in a distributed network, and 31744 discrete inputs and inputs in a remote system. As far as application specific I/O, it can be used for time stamping, as a counter, for high-speed interrupt inputs, and as a serial link. There are 6 optional modules that can be used with the 140CPU65150. 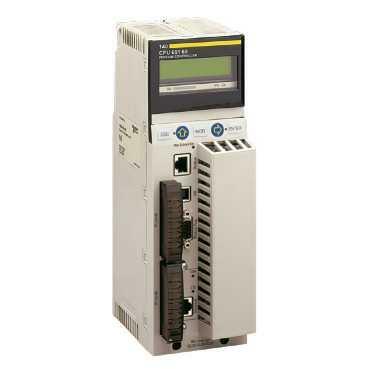 These include, Ethernet, Modbus, Modbus Plus, Profibus DP, and Sy/Max. In a local AS interface, the module has an unlimited maximum number of connections. 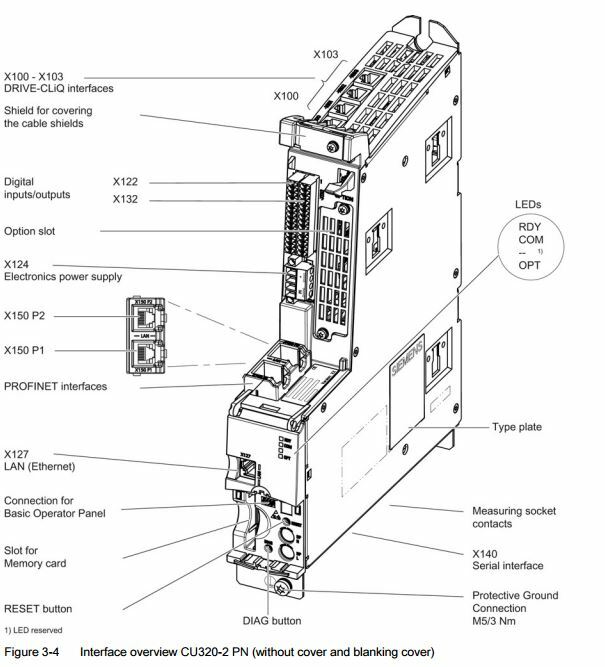 It also has 4 integrated connection types – Ethernet TCP/IP, Modbus, Modbus Plus, and USB. It has an expandable 8 MB of file storage, 7168 kB or expandable programming, and 768 kB of RAM. The 140CPU65150 uses a key switch memory port for on/off functionality. The 140CPU65150 has a data rate of 10/100 Mbps. For a medium, a user should used a shielded twisted pair cable. The module has a number of services, including standard web service, Modbus TCP messaging, I/O scanning services, global data, FDR client, SNMP management, and SMTP services (email). It is compatible only with the Unity Pro software. MRO Electric and Supply carries the 140CPU65150. For more product information or to request a replacement module, email sales@mroelectric.com or call 800-691-8511. The 140CRA31200 is a Ethernet RIO drop adapter in the Modicon Quantum series. It has 3 ports and uses the Ethernet IP/Modbus TCP communication port protocol. 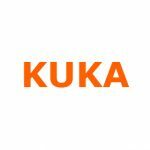 It can handle two integrated connection types: the Ethernet IP/Modbus TCP through the service port or through the device network. It is compatible with the 140CRP31200. The 140CRA31200 has a number of local signalling channels. 1 green LED for RUN, 1 green/red LED for module status, 1 green/red LED for network communication status, and 1 red LED for I/O. This adapter module consumes one slot in the main (first) rack of the in Quantum remote drops. The extended (second) rack in a Quantum remote I/O drop does not require an adapter. To set the location of the Ethernet remote I/O drop on the network, use the rotary switches on the front of the 140CRA31200 before you apply power to the module and before you download the application. The values that are set are applied during a power cycle. If the switch settings are change after the module has powered up, the Mod Status LED is activated and a mismatch message is logged in the module’s diagnostic system. Because new values on the rotary switches are implemented on at the next power cycle, it is recommended that you set the values before starting the module. Valid values are from 00 to 159. These rotary switches can be manipulated on the 140CRA31200 with a small flat tipped screwdriver, and no software is required to configure or enable the rotary switches. Do not use the Stored and Clear IP settings on the Ones rotary switch, and keep in mind that the functionality of these settings do not apply to remote I/O installations. 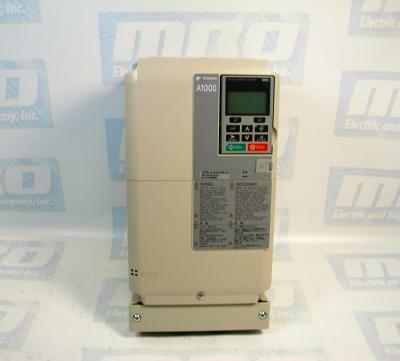 MRO Electric and Supply carries new and refurbished Modicon 140CRA31200s. For more product information or to request quote, email sales@mroelectric.com or call 800-691-8511. The CIMR-AU4A0038FAA is a three-phase 400 Volt AC Drive. There are two modes on this AC drive – Programming Mode and Drive Mode. In Drive Mode, the user can operate the motor and observe U monitor parameters. Parameter settings cannot be changed or edited while in Drive Mode. In Programming Mode, the user can edit and verify parameter settings and perform Auto-Tuning. When the drive is in Programming Mode, it will not accept a Run command unless b1-08 is set to 1. If b1-08 is set to 0, the drive will only accept a Run command in Drive Mode. After editing the parameters, the user must exit the Programming Mode and enter Drive Mode before operating the motor. 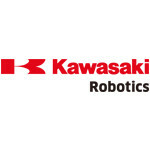 Check out our website for all of our Yaskawa products! Local mode is when the drive is set to accept the Run command from the digital operator RUN key. Remote mode is when the drive can be set to accept the Run command from an external device, such as input terminals or serial communications. Switch the operation between Local and Remote using the LO/RE key on the digital operator or via a digital input. After selecting local, the LO/RE light will remain lit. The CIMR-AU4A0038FAA will not allow the user to switch between Local and Remote during run. 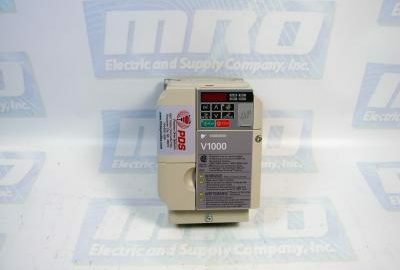 MRO Electric and Supply stocks a variety of A1000 Drives including the CIMR-AU4A0038FAA. For more information or to request a quote, please email sales@mroelectric.com or call 800-691-8511.